Salad the most misused food item of all time. It is so easy to jump on the salad wagon when you are looking to lose a few pounds, and begin eating greens over and over as you start a new fad diet. Because of this, salads are now considered ‘diet’ food. Bland, drab, boring and no longer enticing. So what happens? Most people get turned off of vegetables completely and forget that they can be a delicious addition to our food intake that is packed full of health benefits. That is why I am challenging you to 21 days of salads. Okay, that isn’t the only thing you will be eating. Just one salad a day (or more) for 21 days. But don’t make these any old salads, find ways to create delicious and satisfying salads leaving you craving another. Yes, crave a salad! That is my mission. You see, food is meant to be enjoyed. It is the very essence of life and with vegetables providing a good majority of the vital nutrients we need in order to live a healthy, disease-free life we need to find ways to love them. The 21 day salad challenge is here to support you through this journey and encourage you and maybe even push you to love your vegetables. Now, I’m not saying that it has to be specifically green. I am classifying anything a “salad” that has a base of vegetables. It can be warm or cold, leafy or crunchy, no matter what you choose it needs to be substantial and contain veggies. Think outside the box, get creative. What flavors do you enjoy? 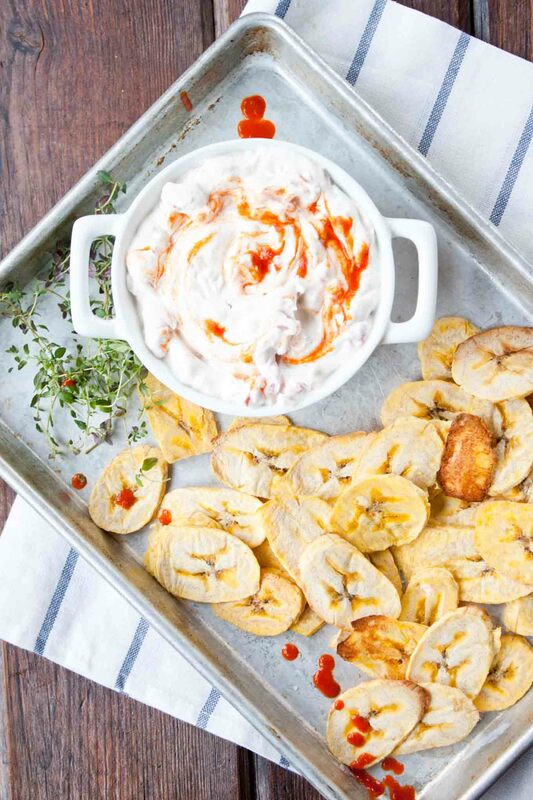 Take those flavors and foods and start piling them on. You never know you could just be onto a lifetime of enjoying vegetables, without really even knowing it. Plus, if you complete the challenge you will be entered to win a free pass to my brand-new Pure Balance Cleanse (starting April 2015). Don’t worry, I’m not going to leave you out there all alone. Each of my recipes featured on the blog this month will fit the salad challenge. 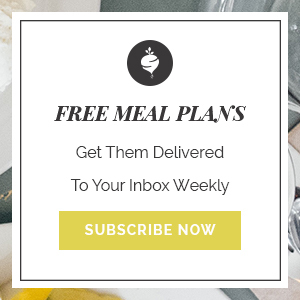 I will also be sharing additional recipes that will get the ball rolling as a part of my weekly newsletter. Don’t forget to share your own ideas by using the hashtag #21daysofgreens on Instagram or Twitter, posting on my Facebook page or sending me an e-mail. Share the love and get healthier one small step at a time. 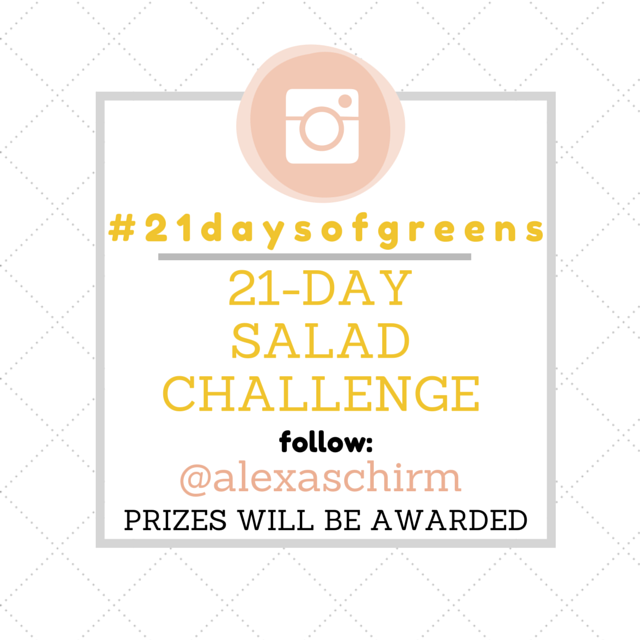 Submit at least five salad recipes and/or photos to #21daysofgreens challenge on Instagram, Twitter, Facebook or via e-mail. Be a subscriber to my weekly newsletter. Eat 21 salads this month and enjoy every bite. The winner will be randomly chosen from the entries. The more you share, the more times your name will be entered into the drawing. *You must be subscribed to the blog to win. Not Subscribed? Hit the button below to sign up!